In addition, I created a soup blog called Soup for a Year (and then some). It has momentarily stalled but I do expect to resurrect it soon. The idea of revisions scares me. There is a lot of uncertainty in the process of revising a piece and there is no way to know how big will grow the pit of time and mental energy. I’m talking about major surgery revisions and not simple cosmetic improvement. This is the kind of work where structural issues are reconsidered, new endings are written, and the length of the piece is changed. I’ve been seriously dragging my feet on revising a wind ensemble piece The Bells of Venice. It was premiered last year and I knew right away that revisions were needed. Many other deadlines were pressing and revising the piece had to be pushed off for months. Last night in a dream I ran into my colleague Prof. Don McKinney at a casino. Before Christmas we took a short family trip to Las Vegas and somehow casinos are still showing up in my dreams. Before Don even greeted me, he said, “Dan, we need those revisions”. I was instantly overcome with guilt and shame, and offered a “they’re almost done” response. As I was waking up soon after this alarming dream, I realize I need to get these revisions done immediately. Enough is enough - my colleagues are visiting me in my dreams! If I dig in, I can probably get the piece revised by January 17 when the spring semester begins. My fear over revisions is the fear that the revisions may not work. The piece could even get worse (though I don’t think I’ve ever experienced that). Hours could be put into a piece without good or new ideas emerging. In the process of trying to fix something, you could reach the conclusion that it is simply not a good piece. Or you might get lazy and decide something is good enough when there is really a better solution a few days further along. For me, meeting a deadline often becomes an all-encompassing exponential growth of time and intensity. By the end of the process the piece occupies large swaths of mental bandwidth and I know each detail with great intimacy. My knowledge of the piece is greatest right when I finish the score. I’m still present with the majority of decisions that went into that piece. So there is also the fear of re-entering a space that I moved on from months (or years) earlier. I’m a different person and the musical issues occupying my mind are different. How do you reenter the space carved out through obsessive work months earlier? And when you reenter that space, will you have the same convictions over the large and small ideas. When I take a step back I think revisions are like most unpleasant tasks. The hardest part is simply starting and committing to the process. Once you lift the hood and stick your head inside, things instantly become familiar and a myriad of choices come flooding back. The path becomes clear. Many of the important decisions actually become easy. For instance, the passage starting at measure 45 served as a major transition from all the Wagner music to the sudden entrance of Gabrieli. While I really like how the transition is crafted, its clear it goes on too long and the real spark of the piece lies in juxtaposing Wagner next to Gabrieli (and later Monteverdi). So the transition needs to be cut and having listened to the premiere performance over and over, it should be a bold cut that emphasizes the drama and absurdity of the piece. Simple! Snip, snip, snip, delete, delete. Slide some of the seams left and some of the seams right. Check the base line to make sure that highly chromatic harmony flows well. Major revision #1 done! Three more to go and a thousand orchestrational details to tweak… onward! One of my big projects right now is a multi media piece about China. I'm preparing the piece for a black box theatre type setting and am hoping to create most of the visuals myself. I'll use a combination of still photography, DSLR video, and time lapse. I've begun to explore various techniques and subjects as material for this project. I've budgeted nine months to create this piece so there is a healthy amount of time for exploration and experimentation. This past summer we took a ten day camping trip to southwestern Colorado. Our stops included Aspen, Ridgeway, Telluride, Ouray, and Silverton. 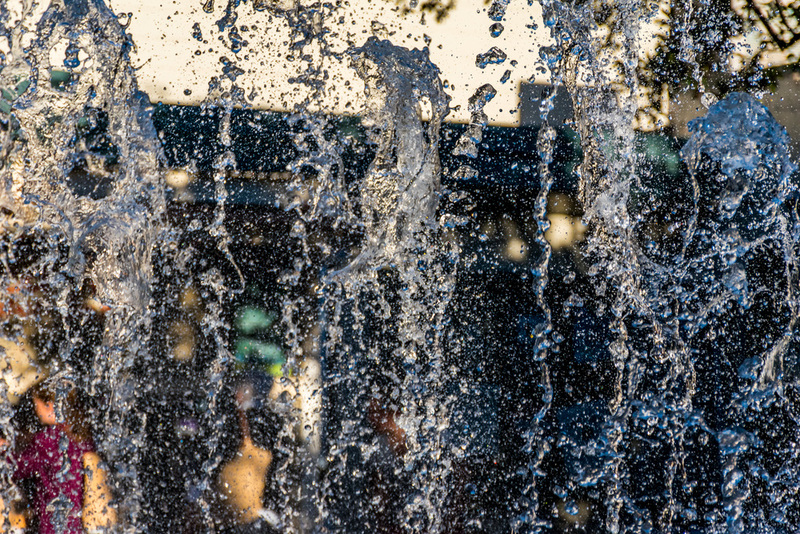 Downtown Aspen features a decades old fountain that kids play in all summer long. Jets shoot out of a grate on the ground that dance anywhere from a few inches to around eight feet high. My wife and I visited this spot a lot when we were dating. There used to be a crepe vendor right next to the fountain where we would get dessert. In July we stopped for some photos. 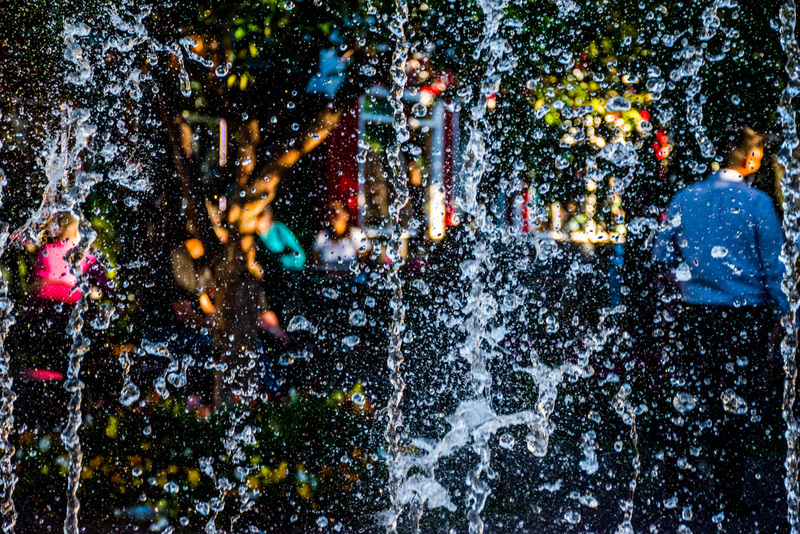 My newish camera did a great job in helping me capture the fountain. 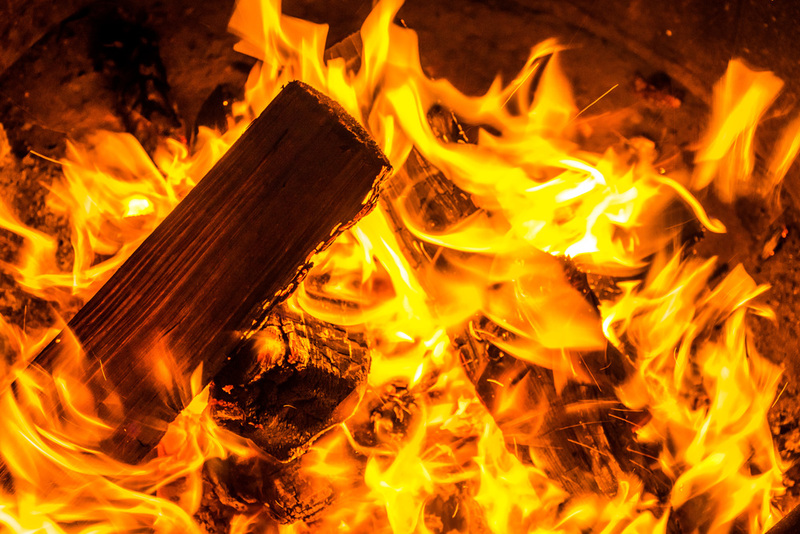 I also spent sometime taking some close up images of our campfire.